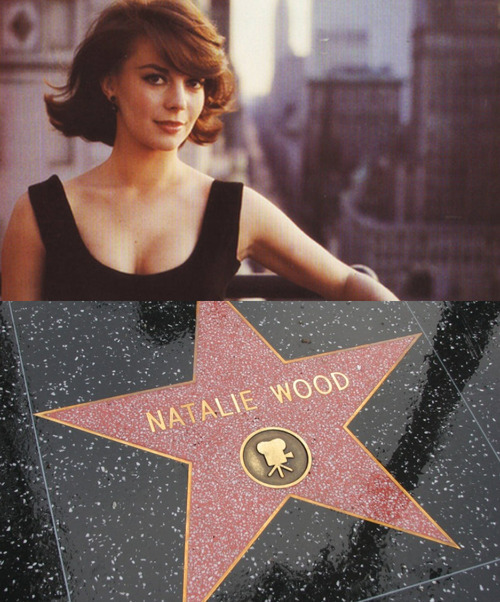 Natalie and her Hollywood star, sterne <3. . Wallpaper and background images in the Natalie Wood club. This Natalie Wood photo might contain zeichen, plakat, text, tafel, schilder, and poster.